Team Art House helped out the former owner of a popular music venue that sadly closed it's doors at the weekend. 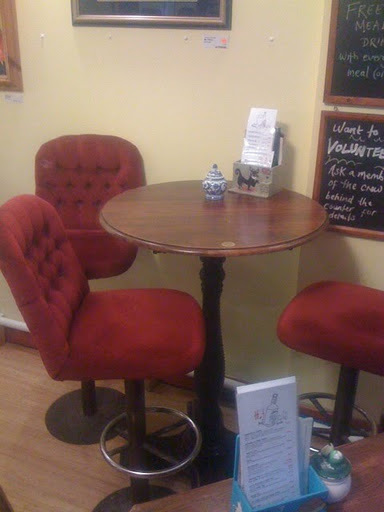 We rescued this table and stools for the cafe to remind us of some happy times there. Hopefully we will see a new owner (or even better, a community group) take it over and return it to it's full glory soon. Fingers crossed.